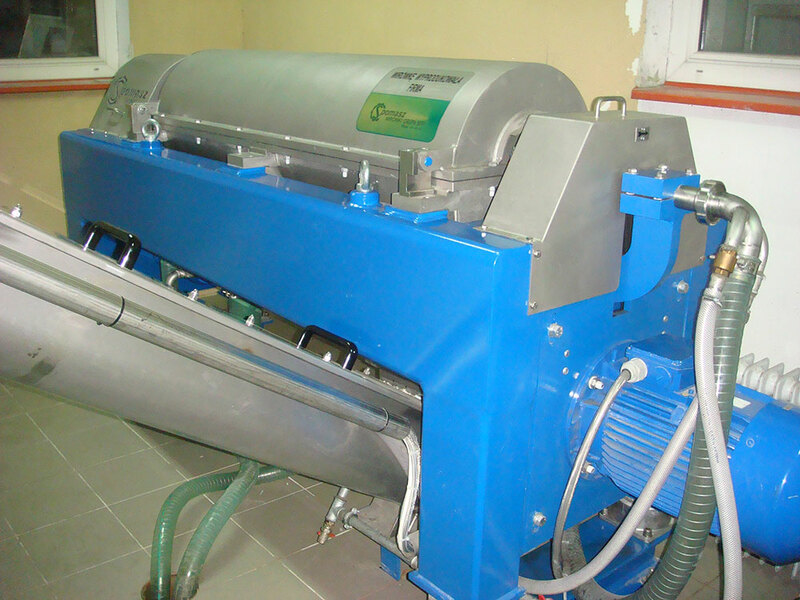 Centrifuges, also called decanters, are high-speed devices intended to separate solids from liquids. 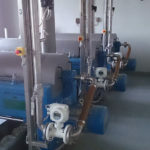 They are applied in communal and industrial sewage-treatment plants, distilleries, fish processing plants, potato processing plants, plastics and oil recycling, manufacture of animal and plant fats, gas/rock oil mining, construction drilling and HDD, meat & bones residues utilization, chemical plantsetc. 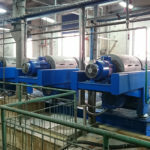 Technologies and materials applied for production enable obtaining the highest quality and they guarantee long life for parts subject of quick wear & tear. 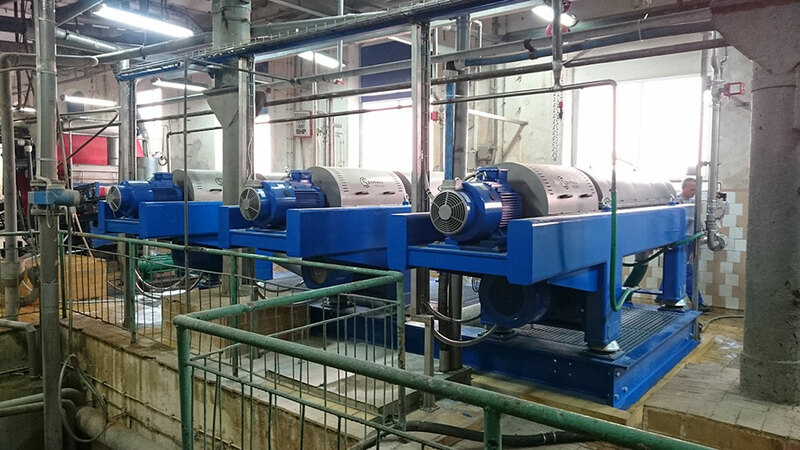 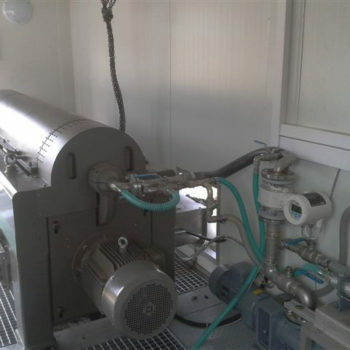 We cooperate with professional suppliers of (centrifugal) casts from which elements of a drum and a screw are manufactured, the most frequently from stainless or Duplex steel. 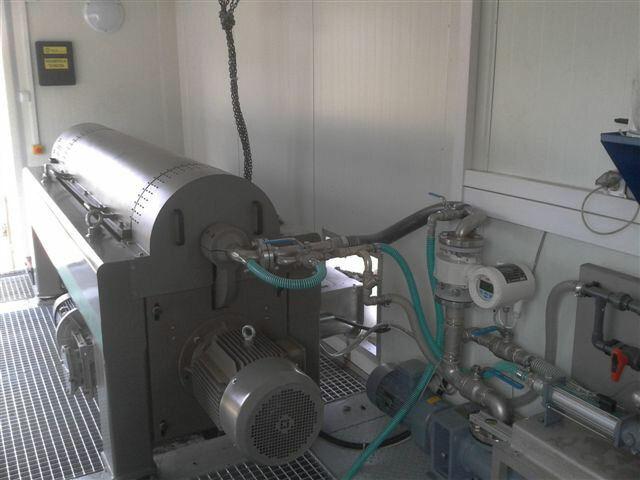 Centrifuges are equipped with own-production high quality planetary gears or cycloid ones, depending on their application. 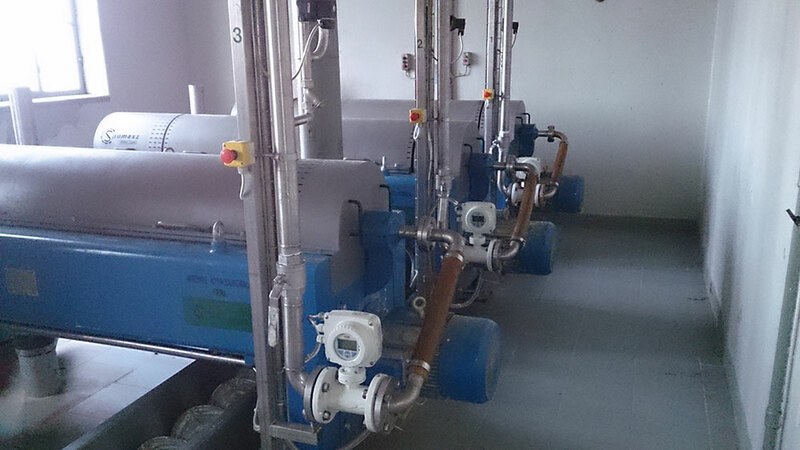 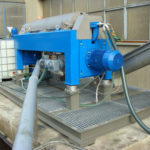 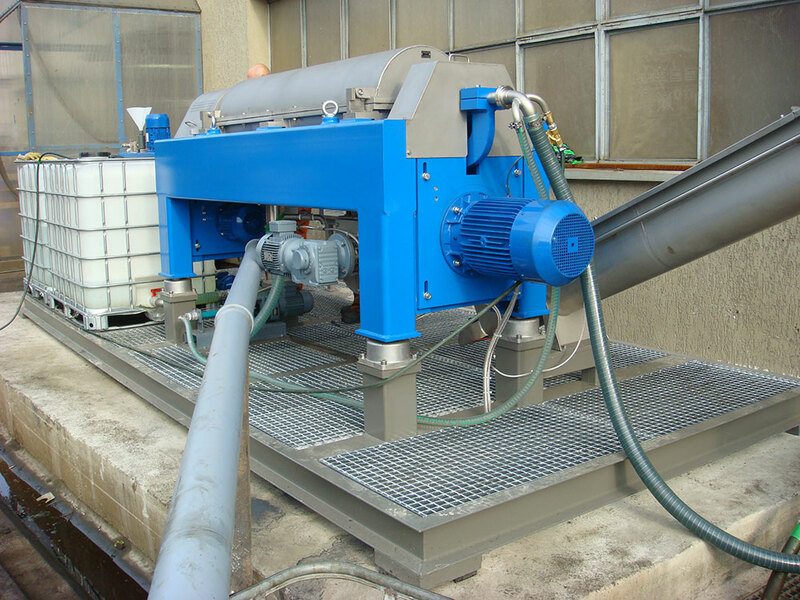 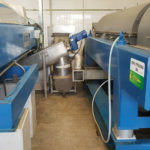 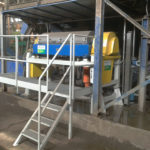 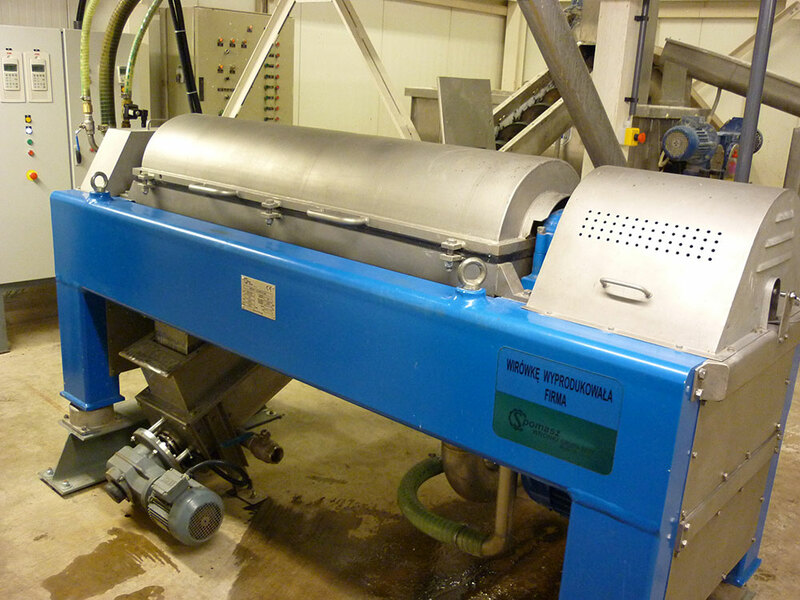 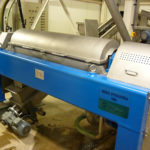 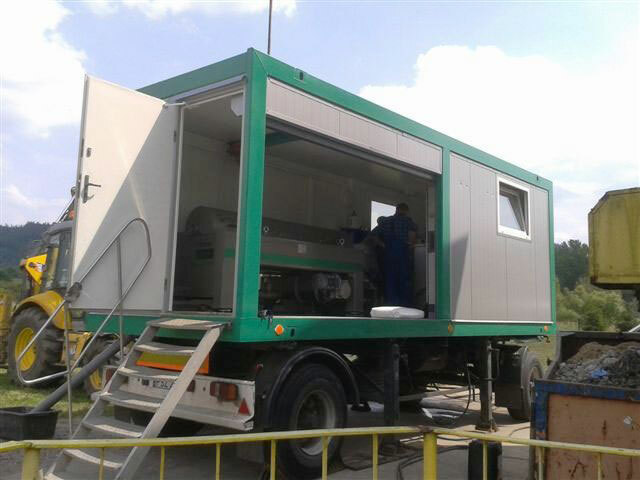 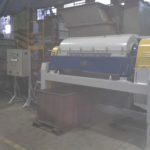 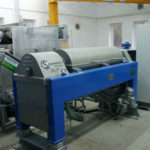 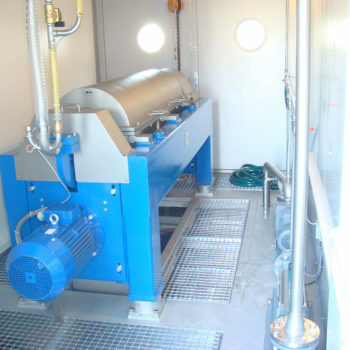 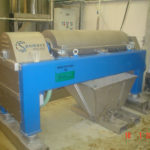 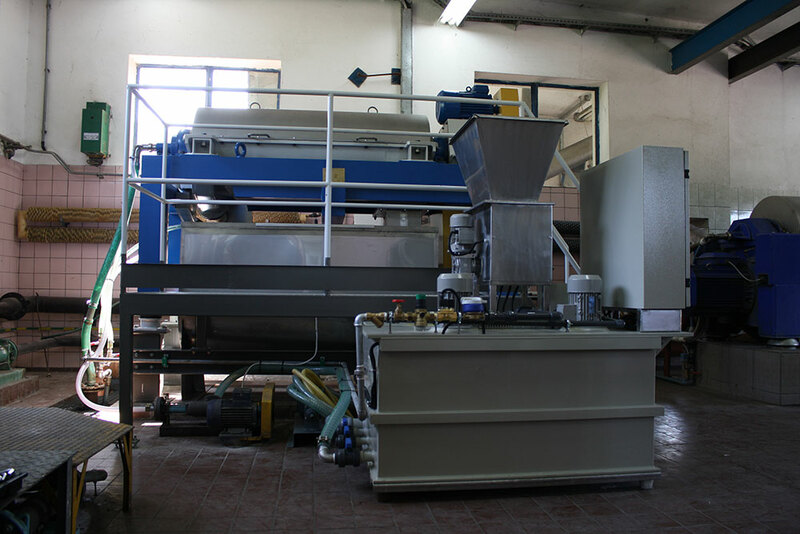 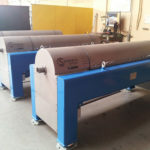 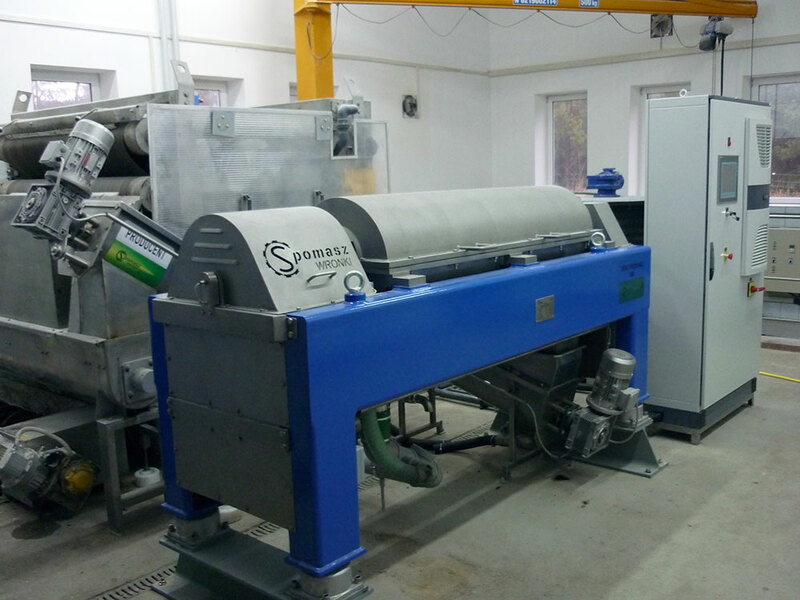 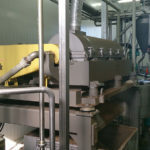 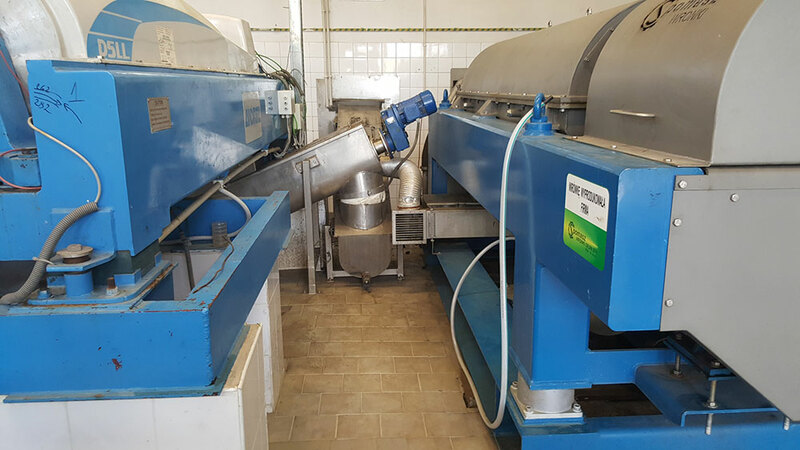 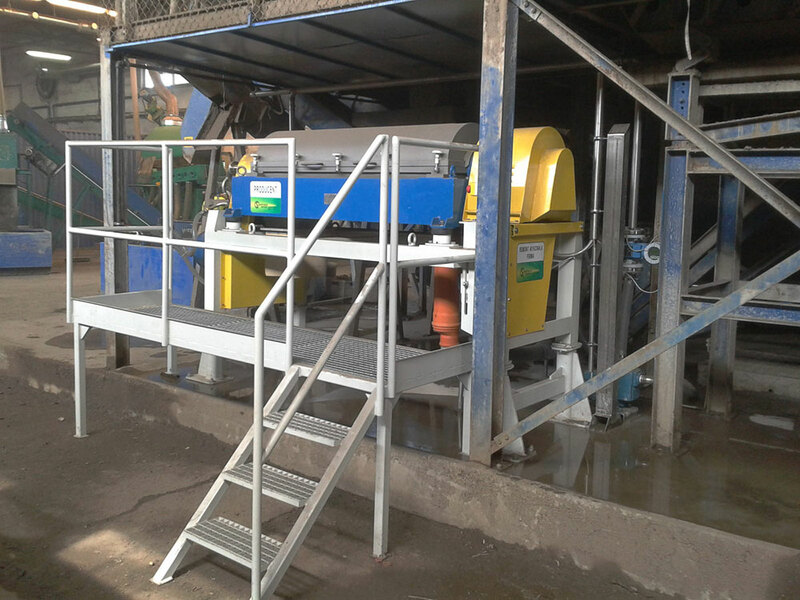 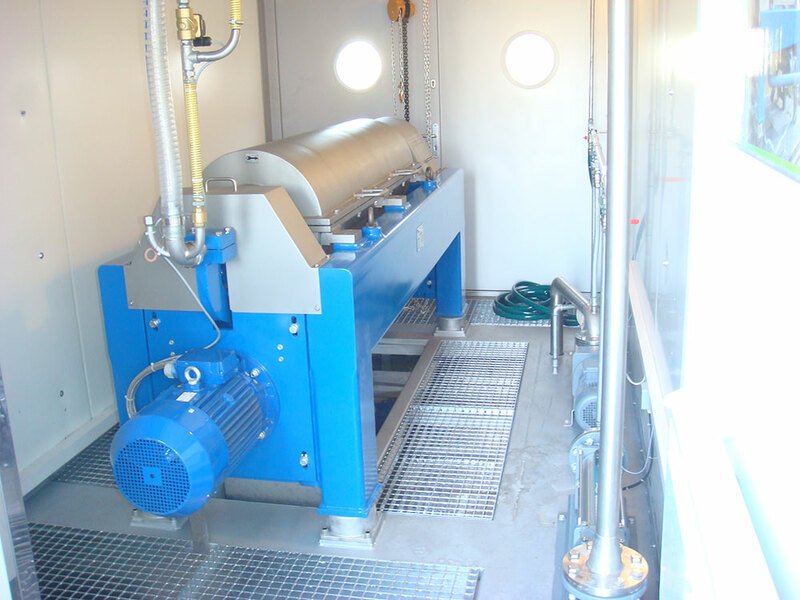 We design and supply complete sewage deposit dewatering stations comprising centrifuges, polyelectrolyte preparation and treatment stations, polyelectrolyte pumps, macerator, screw conveyors, valves, installations and control cabinets. . 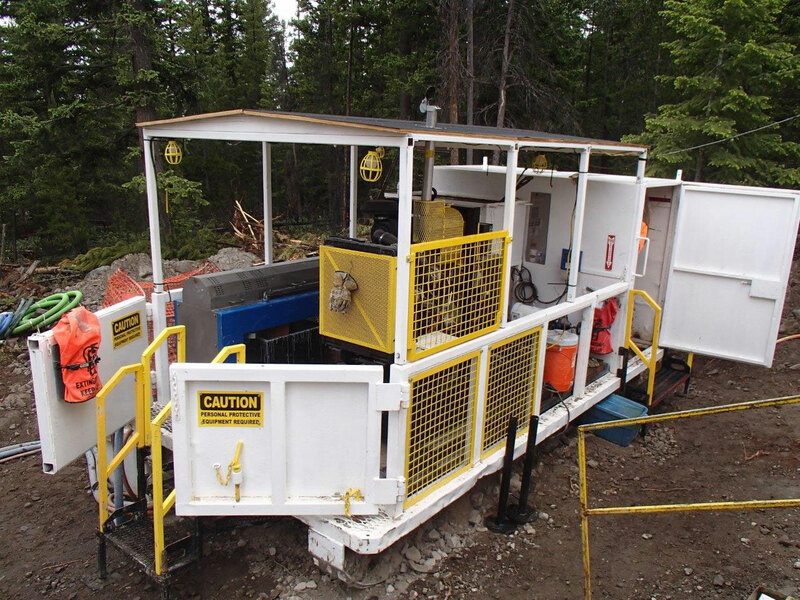 Complete stations are mounted and launched by our employees. 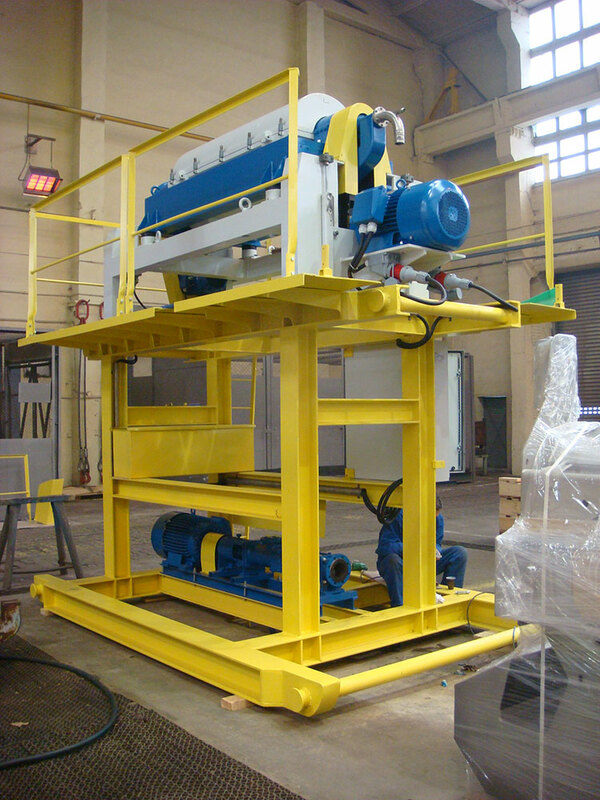 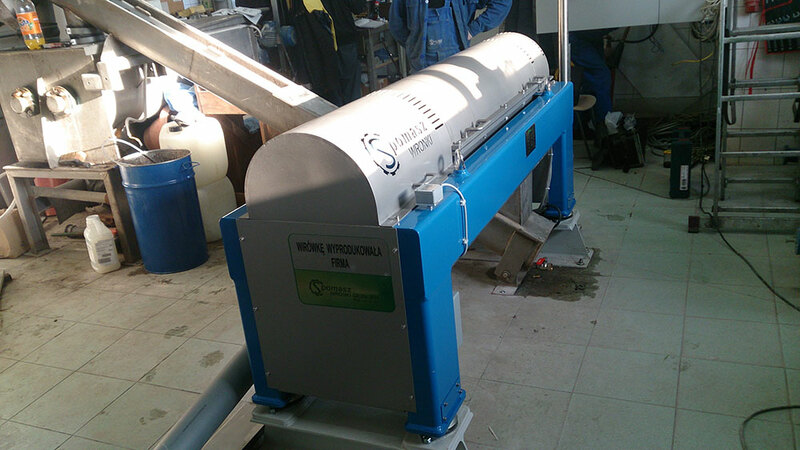 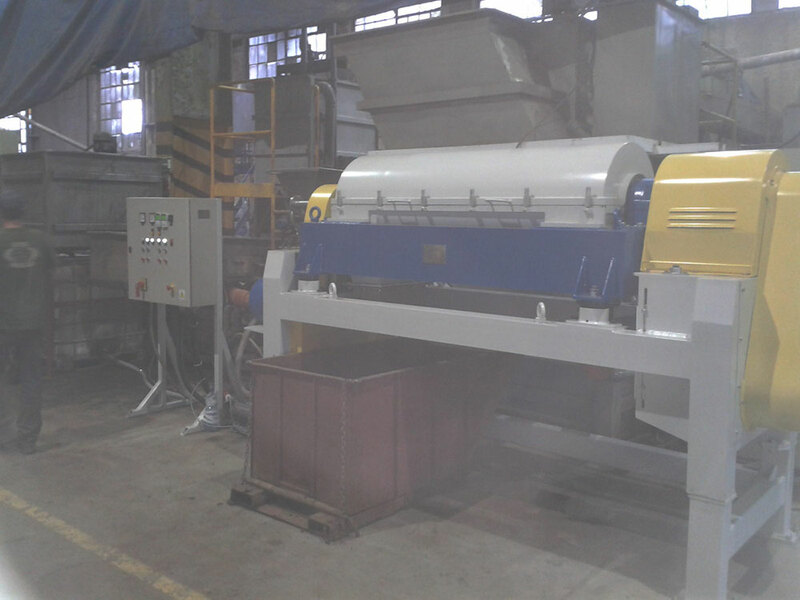 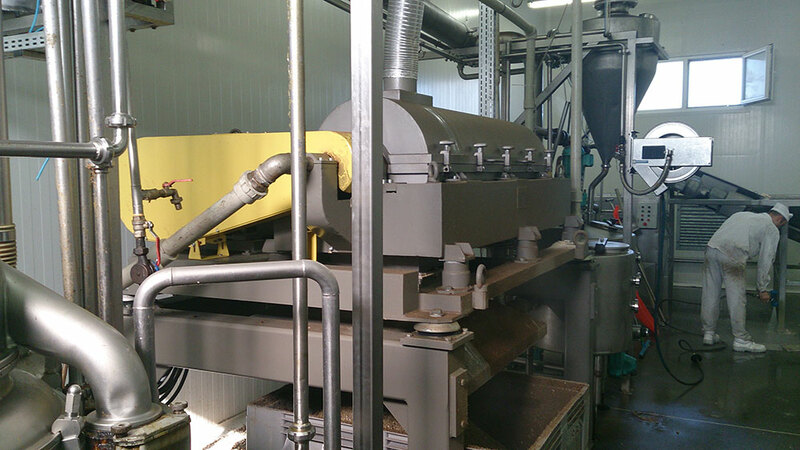 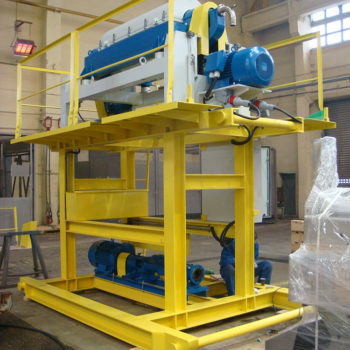 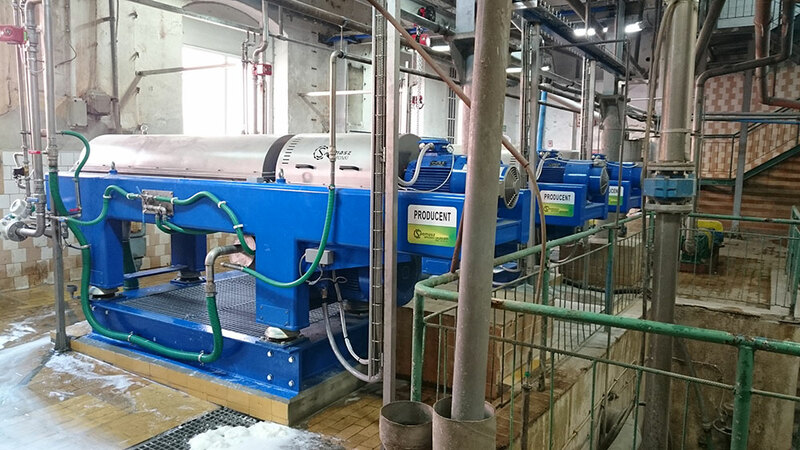 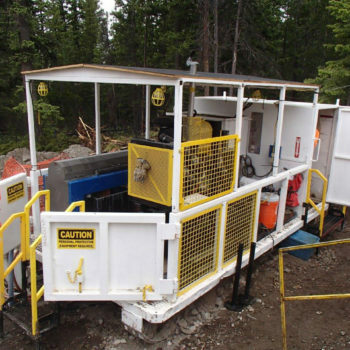 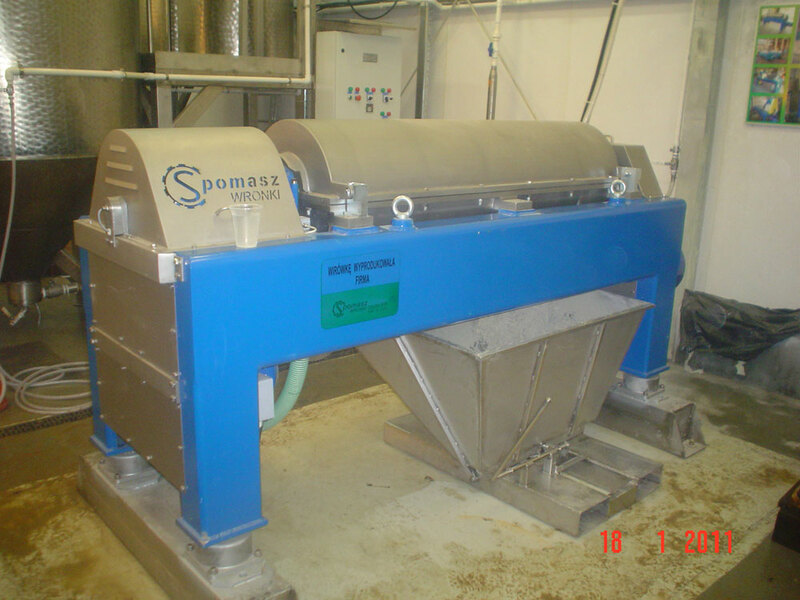 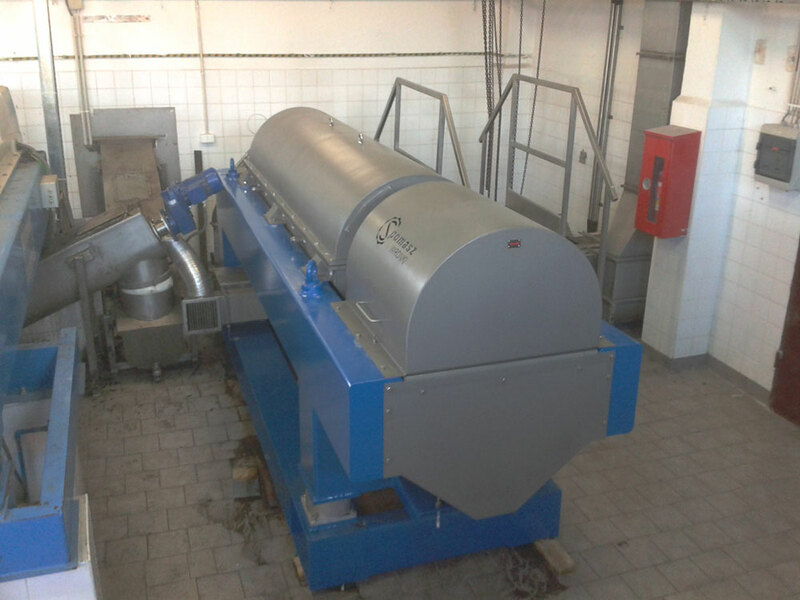 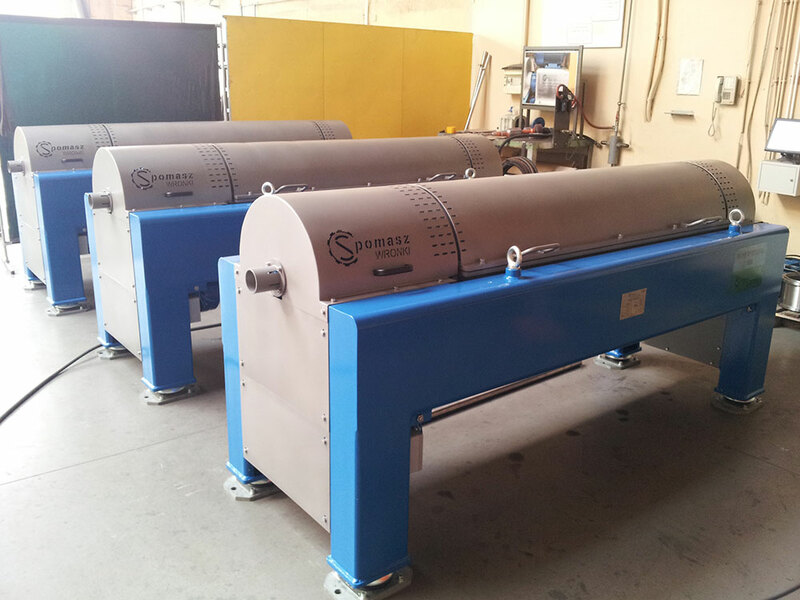 We also focus on selection of dewatering parameters depending on type of supplied product. 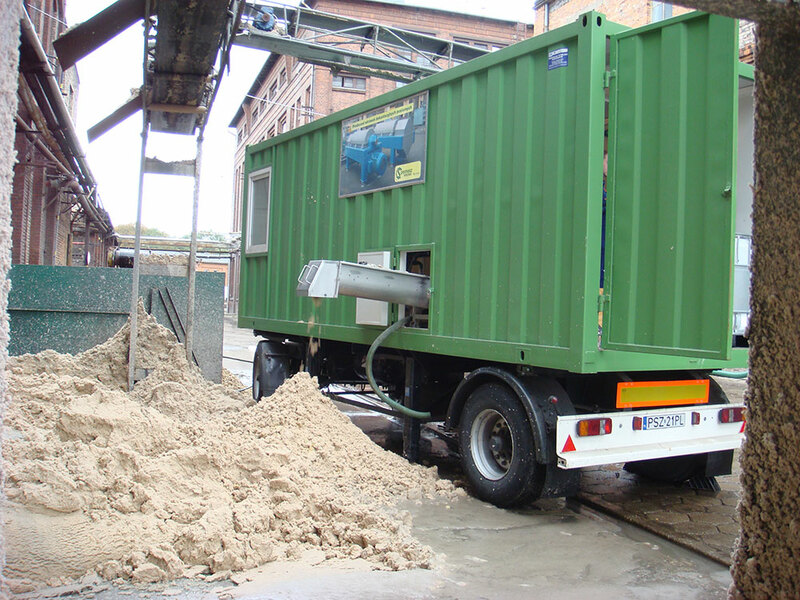 We carry out complete dewatering stations, also in stationary or mobile containers. 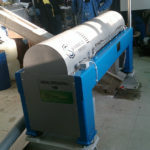 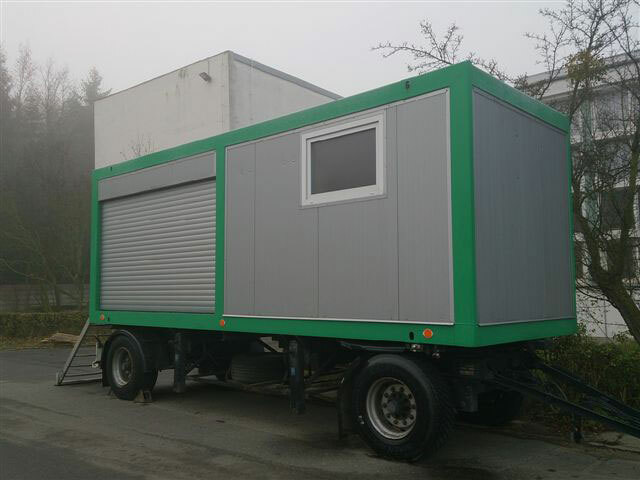 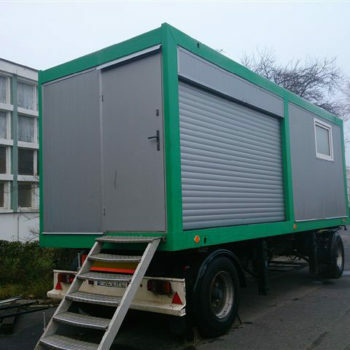 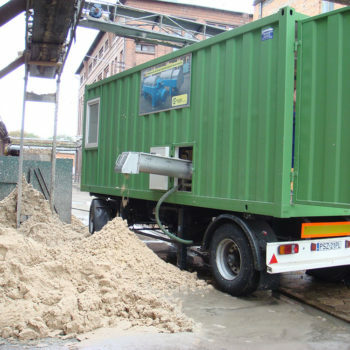 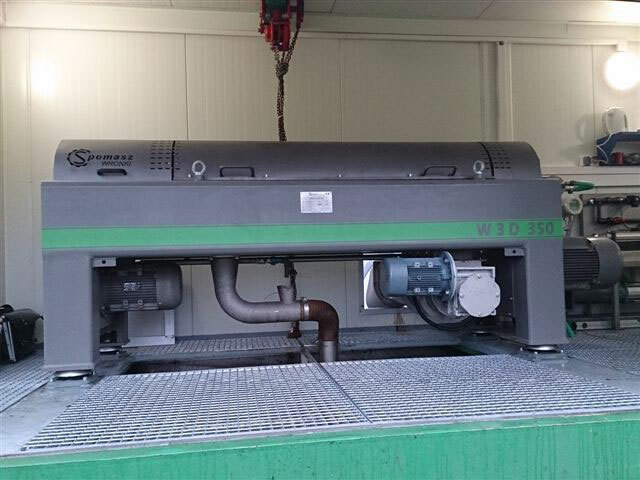 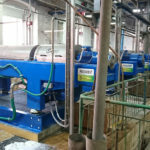 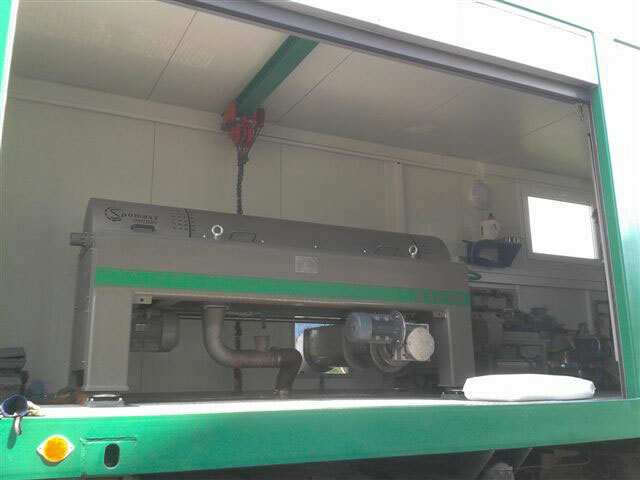 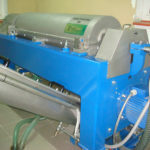 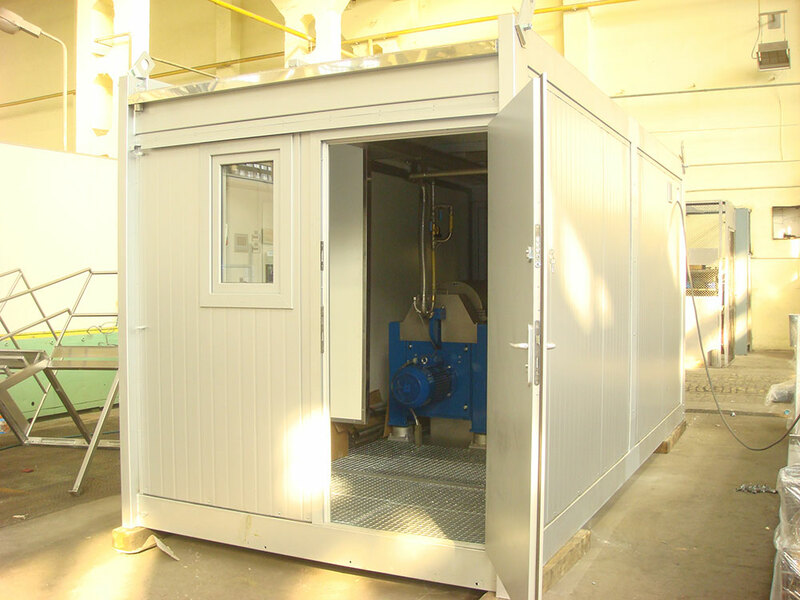 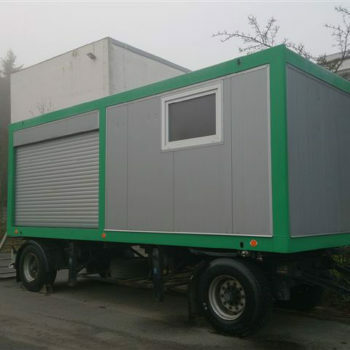 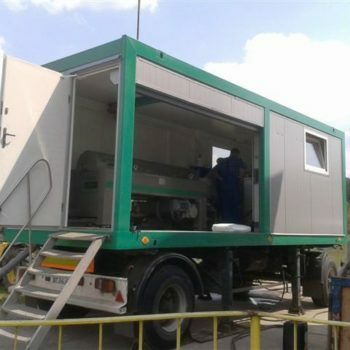 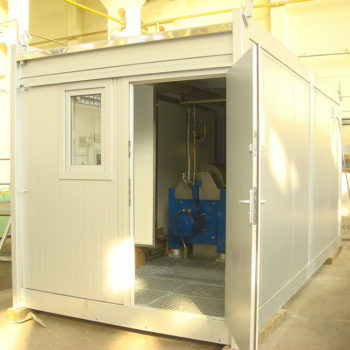 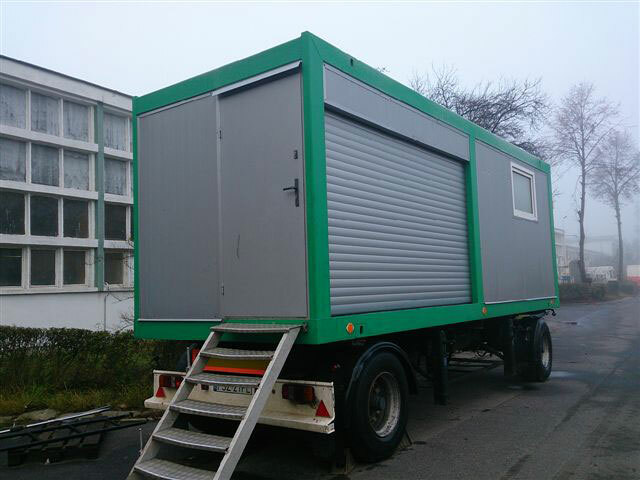 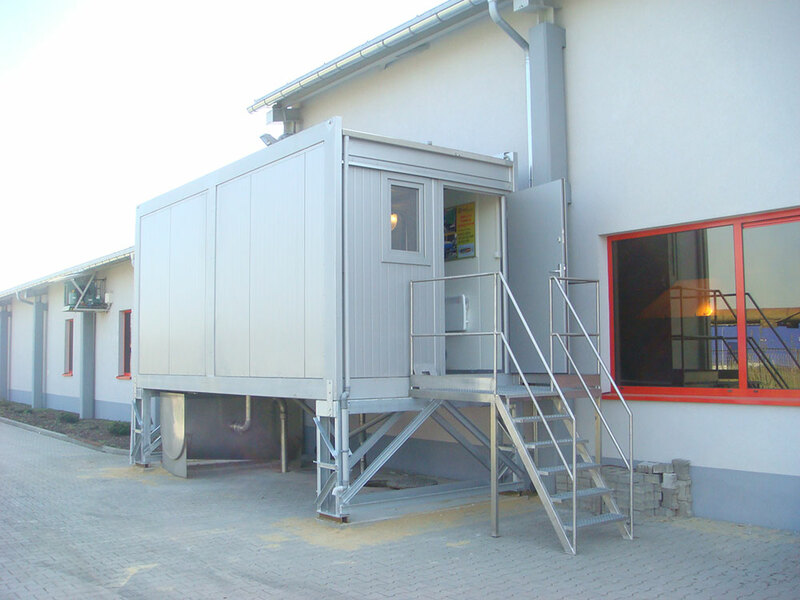 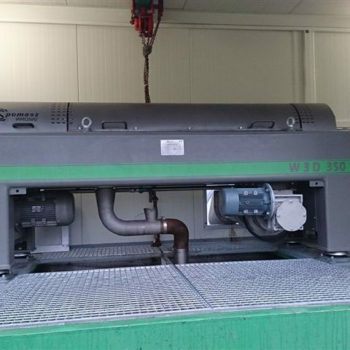 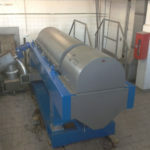 The container enables establishing of a dewatering station in a closed and separate room, which results in reduced noise level at the production hall. 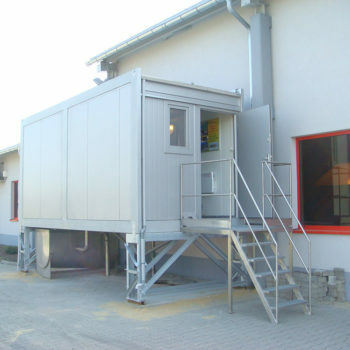 Moreover, the station can be equipped with a driving system, due to which it can be used in varied locations. 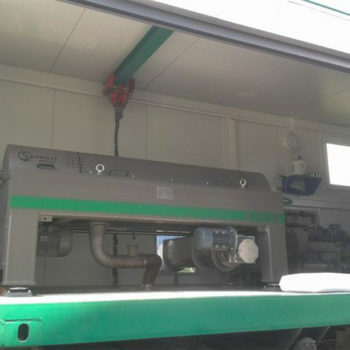 Stations are prepared in such a way that after their delivery a client needs only to supply a product, electric energy and water. 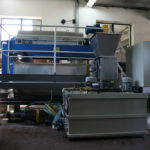 IF YOU FEEL INTERESTED, PLEASE CONTACT THE MARKETING DEPARTMENT.